Download the Quote-Request form or Contact Us for more information. Quality components and solid construction are found in every building. Standard 3” thick wall is available with two basic core systems. Honeycomb Core: Phenolic resin-impregnated honeycomb core with divider strips. 20 Gauge Steel Door – Galvanized 1-3/4” thick, painted, with tempered glass window. Value Core Panel – Polystyrene core permanently bonded to one of many available facing materials. 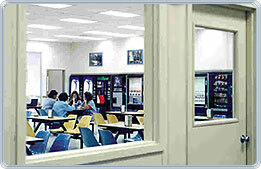 Binder Post System – Binder post connects the panels with receptacle and electrical wiring run down the center. Fork/Crane Lift-able Base – Optional heavy-duty welded structural steel base with full-depth fork pockets or crane mounts. Steel Dust Cover – 22 gauge 1-1/2” deep ribbed steel B-deck. Painted Aluminum Extrusions – Top and bottom channels and corner posts. 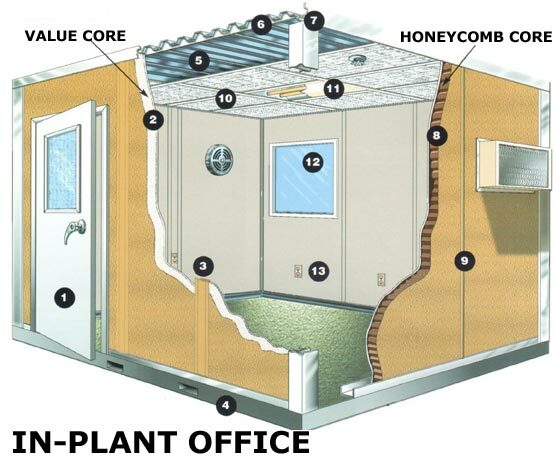 Honeycomb Core Panel – Phenolic resin-impregnated core permanently bonded to one of many available facing materials. Divider Strip Connection System – Matching divider strips connect the panels. 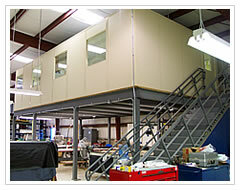 Acoustical Drop Ceiling – Pre-painted metal 2×4 grid accepts standard fixtures and acoustical tile. Fluorescent 2’x4’ Light Fixture – Includes 4-lamp fixture with acrylic lens. 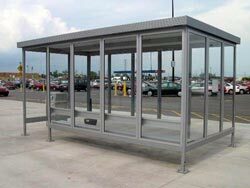 Windows – Fixed or sliding ¼” thick tempered glass. 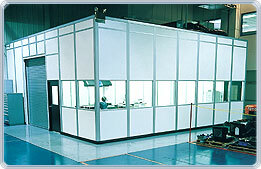 Duplex Receptacle – In Binder post for Value Core system, placed anywhere within the panel structure on Honeycomb system. Data and phone also available.